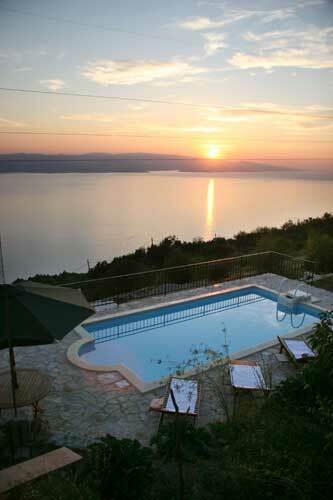 Villa Krug stands on its own, without competition, among the luxury vacation villas on Makarska Riviera. 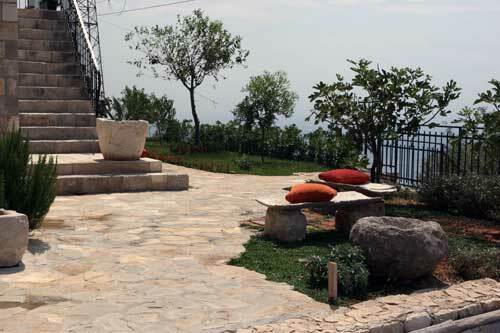 Located on the slopes between Adriatic Sea and Biokovo Mountain it overlooks the famous tourist place Brela. 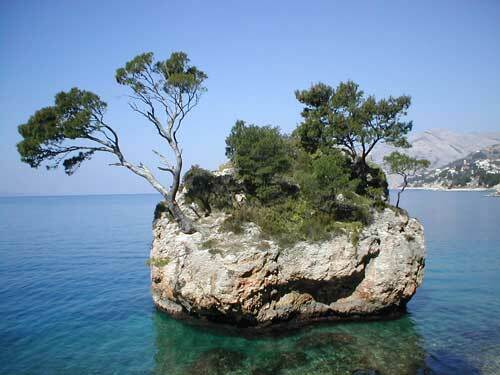 Brela's beaches are voted by Forbes magazine to be the best in Europe and among top ten beaches in the world. The villa consists of two connected yet fully independent units. 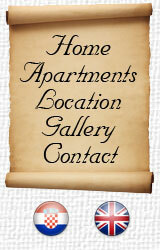 The ground floor will delight you with a dinning room and a large wine cellar furnished with antique furniture. 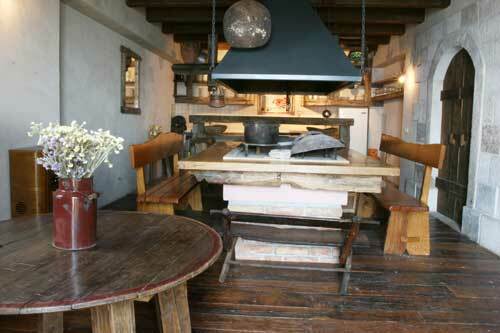 The dinning room has an open fire place in the middle of the large table where you can grill food on open flame and enjoy preparation of Dalmatian "peka" and other specialties. The villa is also equipped with outdoor swimming pool, bocce-balls court, open fire place with bread stove, water well and garden with ecologically grown fruits and vegetables. We offer you something that is very hard to find these days - complete tranquility in the beautiful nature with extraordinary dawns and sunsets. You will fully enjoy the beauty of life on the Mediterranean as it once was. You will have a feeling that the time has stopped. Accommodation is suitable for maximum ten people. By previous arrangement we can provide you with assisting staff.